The Department is widely acknowledged as one of the leading paramedic research departments in the world. We proudly supervise the highest number of Masters and PhD candidates in the world. We have a number of active experienced and emerging researchers. 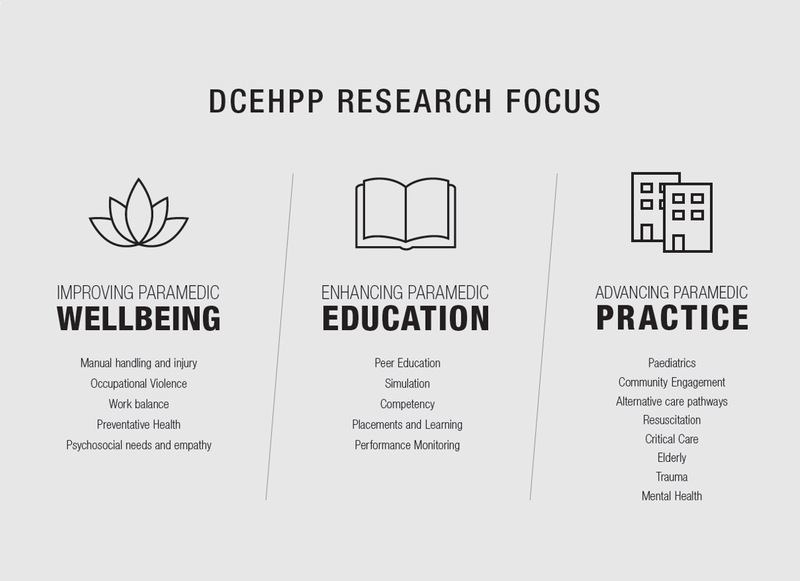 Our focus is to leverage off our research strengths, concentrate our research into clear foci or ‘programs’, and become internationally known for high quality, out-of-hospital research around these strengths. “to be recognised internationally as a centre of out-of-hospital research excellence”.